I recently had the wonderful pleasure of talking to one of the founders of Hip Chick Farms, Serafina Palandich. She shared not only her enthusiasm and passion for the greater good of the food industry but also many inspirational thoughts with us. There are many different factors that came together perfectly to form this up and coming, socially responsible food company, Hip Chick Farms. Serafina and her partner Jen founded the company after serious consideration about food, food sources, and the growing misunderstandings in the food world. Jen is a chef and has been working and creating culinary delights for many years. First with Alice Waters at Chez Panisse, where the idea of farm to table cooking began. The philosophies such as knowing where all the ingredients are sourced, the best seasons for each ingredient, and how to source locally and sustainably were close to her heart and resonate in her cooking. She continued to bring those philosophies through her next career moves including being the executive chef at a Montessori school and creating all the recipes for Hip Chick farms. 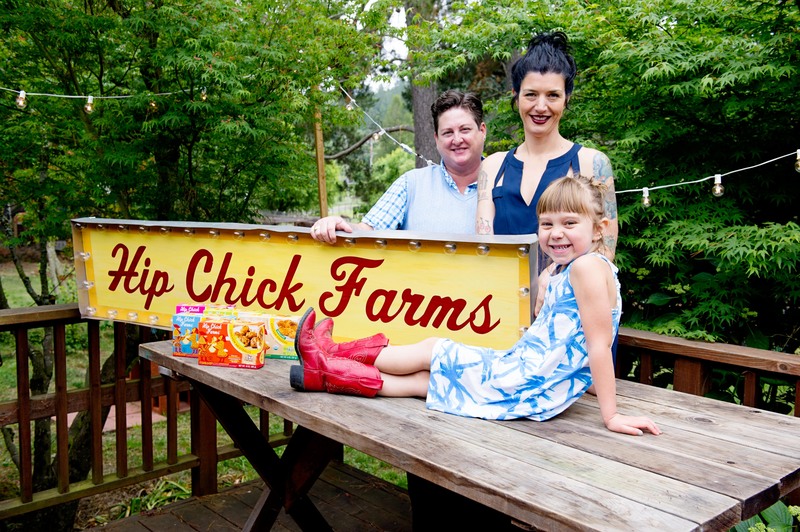 When starting Hip Chick Farms, Jen and Serafina wanted to make sure their beliefs and their food philosophies really shined through. To start, they wanted to source responsibly and ensure they used the whole bird.- the breasts, drums, and legs. Each part is used for a different product and recipe in their line of frozen goods. The women ventured out to find their chicken source and found Mary’s Organic Chicken – which is a GAP step rated farm and local to California. 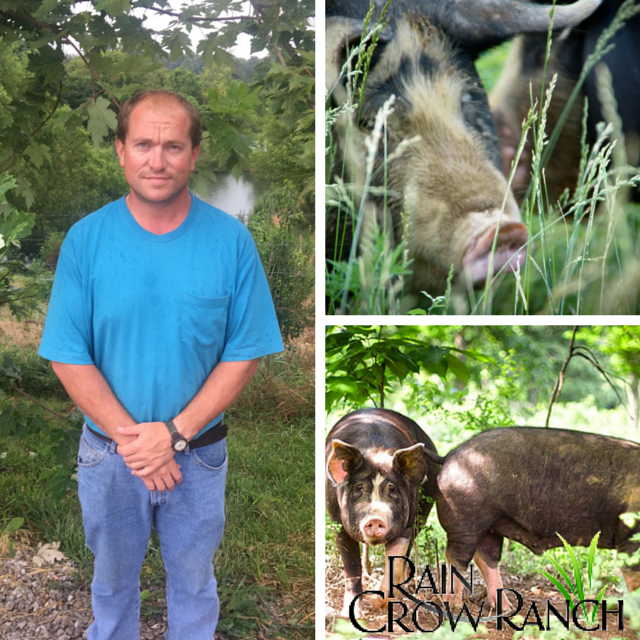 They were excited to begin their partnership with Mary’s Organic Chicken because of the transparency and commitment to animal welfare that the Pitman Family has in raising their birds. They also learned about Mary’s using the air-chill process after slaughter, which prevents pathogens on the chicken and is a better alternative for processing chickens. In addition, their slaughter process is carefully planned and expertly done to ensure less stress for the birds. All of the commitment and care that goes into the chickens and the processing fit with their commitment to better food. “When we started, we sold into Whole Foods and we learned about GAP and the step rated system. But, step rated further processed labeling wasn’t available until just this past year so as soon as LPA came out we applied. We are all about transparency. We love the idea that the ingredients and our process is verified by a well-known and very reputable animal welfare group known for third party auditing. It speaks to what we believe in for food. I love what you guys are doing… I love to know and be educated on the various step levels and when I go to the store I can make an educated decision on what I want and what agrees with me. It’s the transparency of it all. I love working with GAP because I believe in it,” Serafina explained. One of the inspirations for changing the food world is their daughter. Jen and Serafina bought a farm in California so that they could teach their daughter about good and beautiful food. They wanted their daughter to know where food comes from – how to raise animals and grow vegetables.